When it comes to the entertainment industry, there are many careers to pick from – acting, comedy, writing, production, music, and the likes. The entertainment world is a multi-facet world; most people who aspire to a career as entertainers often have to choose one aspect of the world to build a career with, two or three at best. Steve Martin, however, is a super talented entertainer who has a career in all five aspects and he is also a magician. Martin is also an accomplished instrumentalist, with the skills to play a piano, banjo, and he is also an author and a playwright. Simply put, he has done it all. His life has been evidence in what is possible. Learn about Steve Martin, his life and accomplishments below. Steve Martin is the son of Glenn Vernon Martin and Mary Lee. He was born to his parents on the 14th of August in 1945 in Waco, Texas. His father was a real estate salesman and an aspiring actor. Although he was born in Waco, he was raised in Inglewood and Garden Grove, California alongside his two siblings, a brother and a sister. As a young child, Steve Martin did not have a good relationship with his father, with Martin once describing his feelings at the time to be hatred. However, through his father, he got his first insight into the world of entertainment by watching his father while he was an extra for stage plays. During high school summer breaks, of which he attended the Garden Grove High School, Steve picked up his first skill, magic. While he worked at Disneyland, he would visit the Main Street Magic Shop. He visited so frequently that he was a master of the magic tricks and illusions by the year 1960. After high graduation, Steve Martin moved on to his next skill and talent, comedy. While he attended Santa Ana College, he enrolled as part of a comedy troupe called Knott’s Berry Farm. He spent some time in the troupe until he transferred out to the University of California (UCLA). Steve Martin’s career as an entertainer officially began while he was at UCLA. He started out by switching out his major from philosophy to theatre. He starred in an episode of The Dating Game, but it was not yet to be the beginning of his acting career. Before he became a full-on actor, Steve Martin worked as a writer for The Smothers Brothers Comedy Hour. His work on the show earned him his first major award, an Emmy. Steve later grew to become a standup comedian. His work, as a standup comedian brought him several successes, especially at a commercial level. He sold several copies of his comedy albums in the 70s, with the sale of some albums entering into millions. Although he was a superstar stand up comedian throughout the 70s, Steve Martin unrelenting desire to become an actor forced him to retire from comedy early and pursue an acting career. He starred in his official debut role as Hippy in Another Nice Mess in 1972. Since then, he has starred in over 50 films and over 20 television shows. His film credits include classics like The Pink Panther movies, The Prince of Egypt, Roxanne, Three Amigos, Baby Mama, and a few others. His work, as a comedian, actor, and writer had earned him 24 award nominations and he has won 21 of them, including major awards like the Grammys, Emmys and Academy Awards. 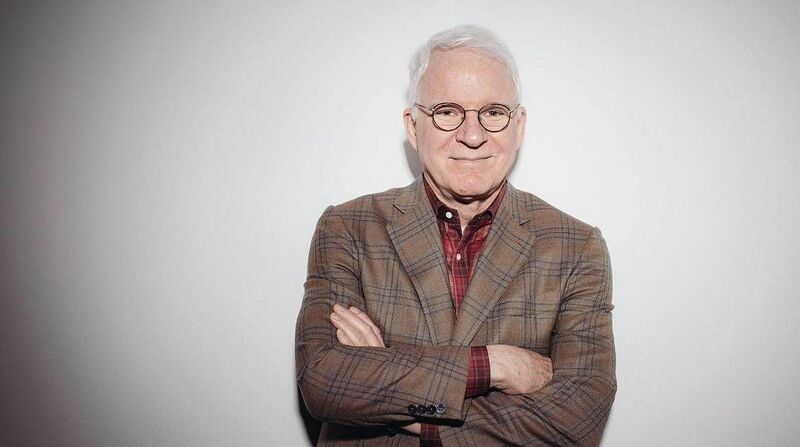 Between the several commercially successful comedy albums, the extensive filmography and the publication of several books and a strong art collection, Steve Martin has been able to build a massive net worth of $130 million that is sure to leave most entertainers envious. While he certainly enjoys his money and the many luxuries it can buy, Steve Martin, an avid banjo player has set up an award that rewards banjo performers with several benefits, including a $50,000 cash prize. Even Steve Martin’s all-around excellence could not beat the statistical likelihood of divorce. After he got married to his first wife, Victoria Tennant on November 20, 1986; the couple got divorced eight years later in 1994. Between his work schedule and his need to get it right the second time, Steve Martin did not get into a major relationship for a while until 2004 when he started dating Anne Stringfield, who is a writer. The two eventually got married after a three-year relationship on July 28, 2007. The relationship birthed its first and only child so far, a daughter in December 2012.